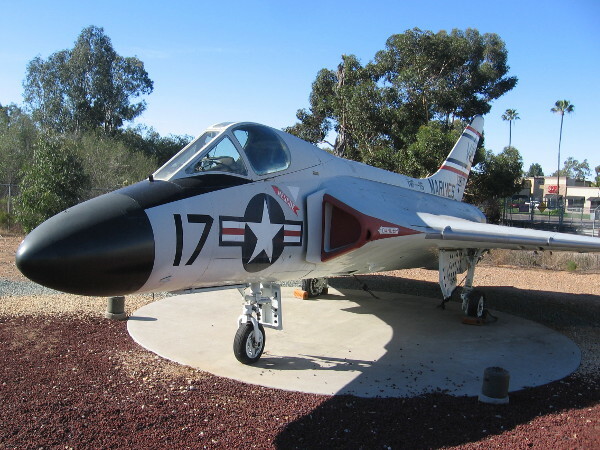 vietnam war – Cool San Diego Sights! Inspirational photos of Memorial Day. I had all sorts of plans for this Memorial Day weekend. But I’ve decided to rest and write. Three uninterrupted days of writing. In a quiet place. 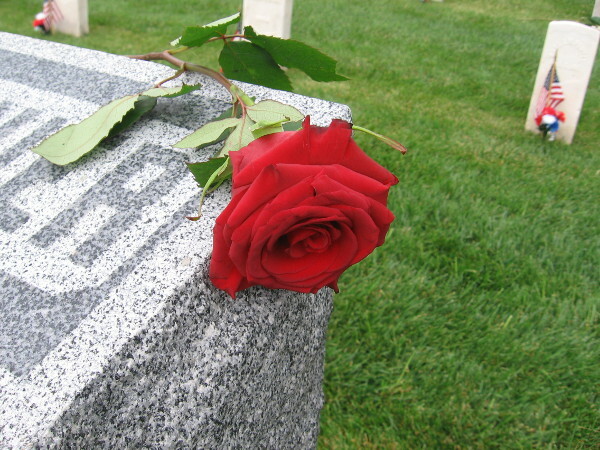 Photos of Memorial Day at Mount Hope Cemetery–remembering those who perished in the Civil War. 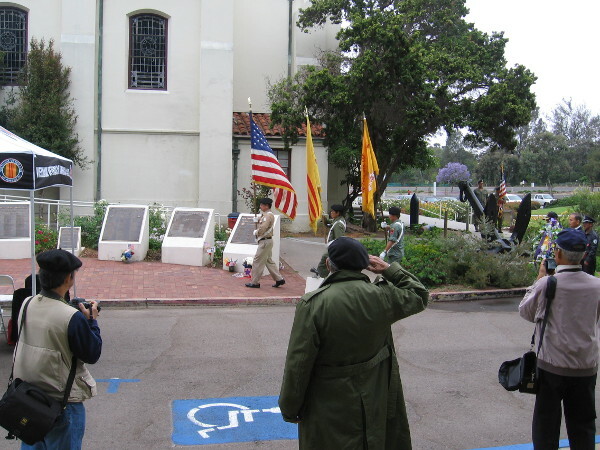 Memorial Day at The Veterans Museum in Balboa Park–remembering those who died in the Vietnam War. 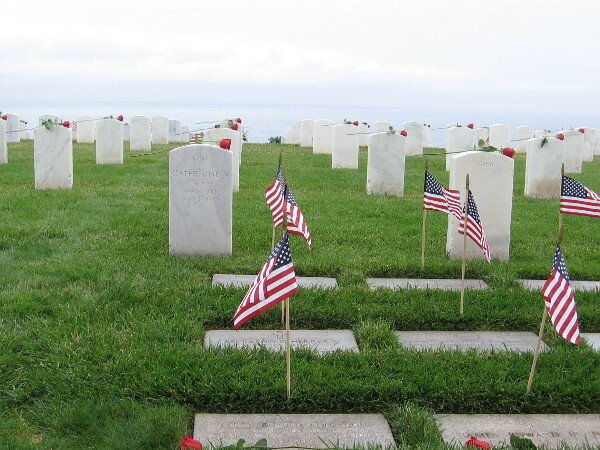 Photos of Memorial Day ceremony at Fort Rosecrans–sloping fields of flags and roses. 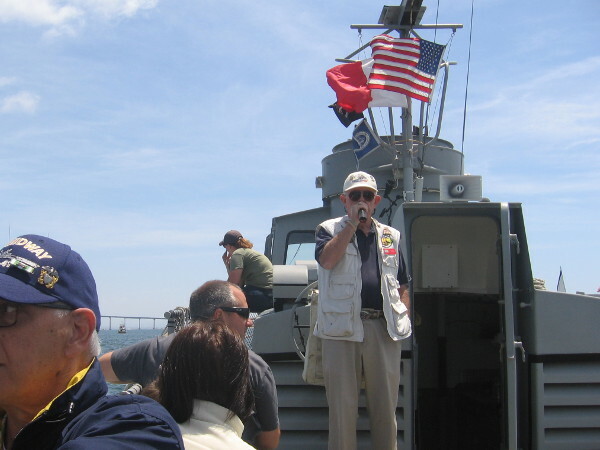 World War II vets honored on USS Midway–remembering the Greatest Generation. 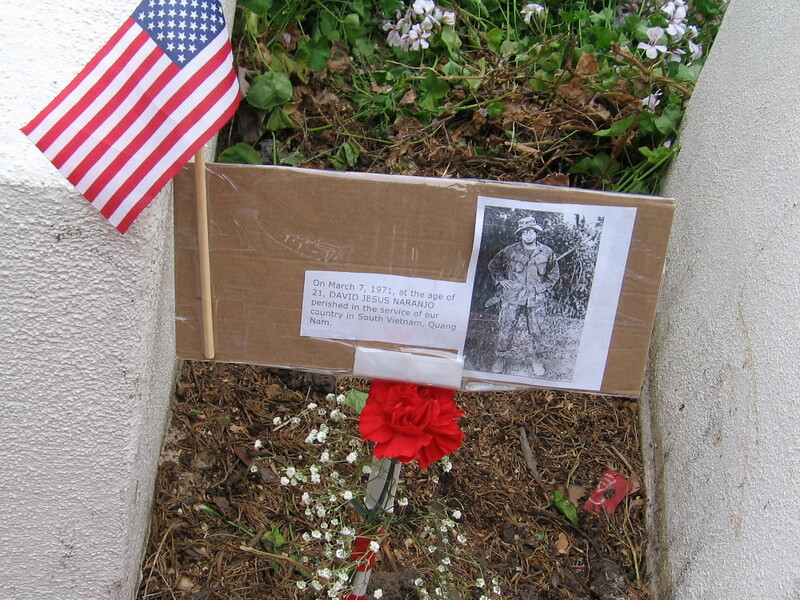 Posted on May 25, 2018 Tags civil war, events, flag, history, holidays, inspiration, memorials, military, patriotism, photography, san diego, veterans, vietnam war, world war II5 Comments on Inspirational photos of Memorial Day. 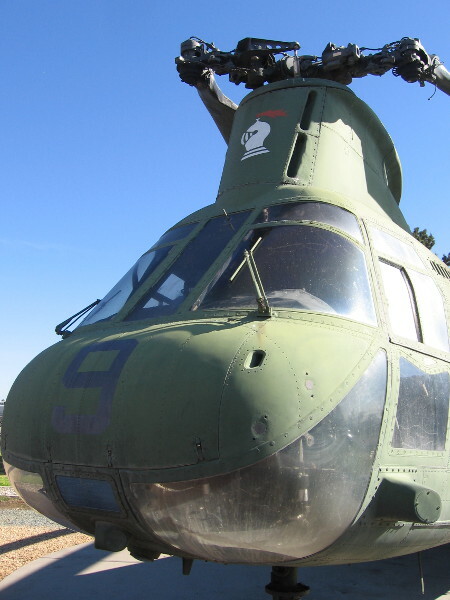 Museum displays helicopter that ended Vietnam War. 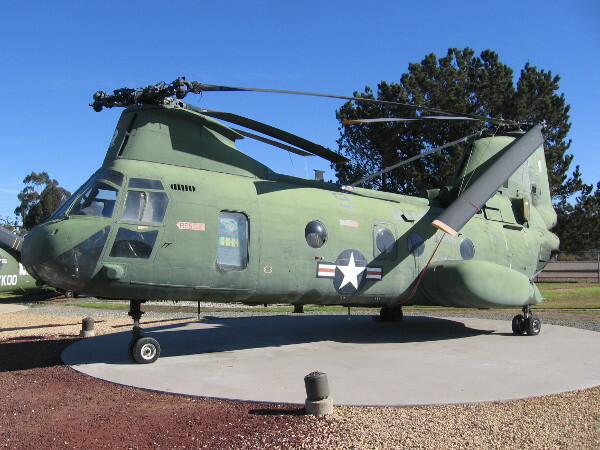 This particular Boeing Vertol CH-46D(E) Sea Knight military helicopter in San Diego is an object of great historical importance. Many regard the evacuation of the United States Ambassador from Saigon as the end of the Vietnam War. On April 30, 1975, as ordered by President Gerald Ford, Ambassador Graham Martin was airlifted from the rooftop of the American Embassy. 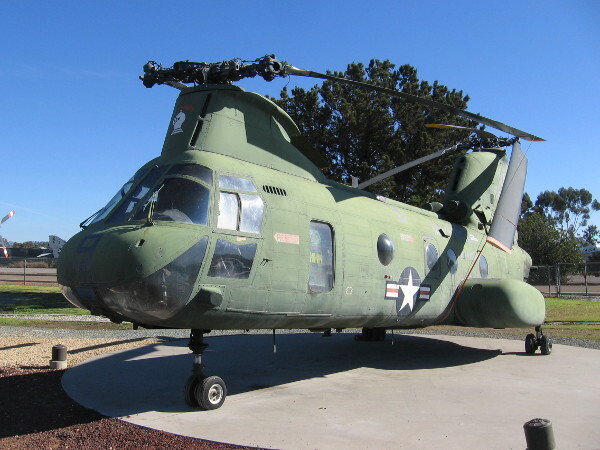 He had stepped aboard a Boeing Vertol CH-46D(E) Sea Knight military helicopter, call sign Lady Ace 09, flown by pilot Captain Gerry Berry. 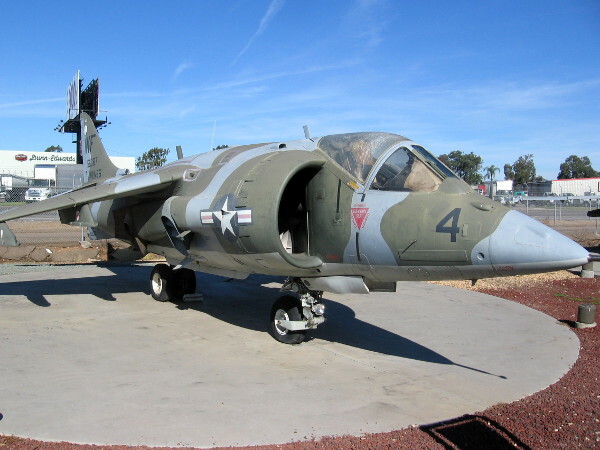 Today the public can view Lady Ace 09 at the Flying Leatherneck Aviation Museum in San Diego. While the Ambassador’s evacuation from the Embassy has provided a visual symbol of America’s departure from South Vietnam, the reality was a bit more chaotic. 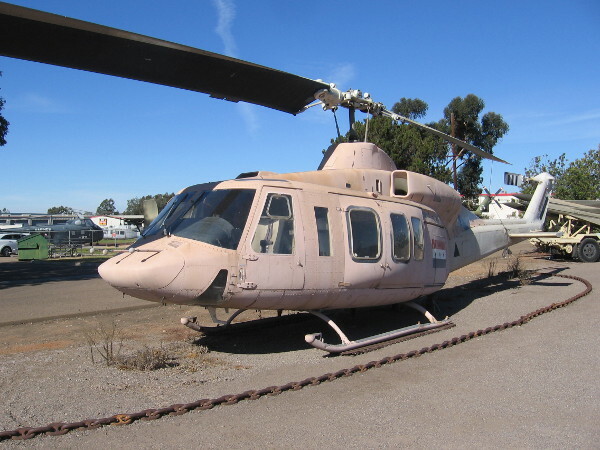 When Lady Ace 09 transmitted “Tiger is out,” indicating the Ambassador had been retrieved, other helicopter crews involved in the evacuation mistakenly thought the mission was completed. But Marine Security Guards on the Embassy’s rooftop would be lifted to safety hours later. Shortly thereafter, Communist forces would raise the Viet Cong flag over Saigon’s Presidential Palace. 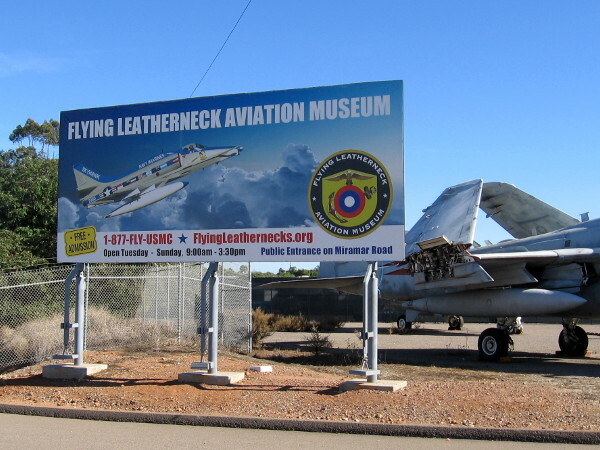 The Flying Leatherneck Aviation Museum is located at Marine Corps Air Station Miramar in San Diego. 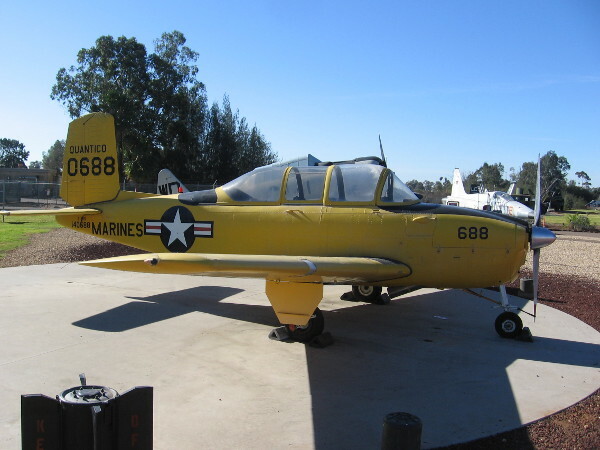 In addition to Lady Ace 09, over two dozen aircraft that have been flown by the United States Marines are on display. Admission is free. 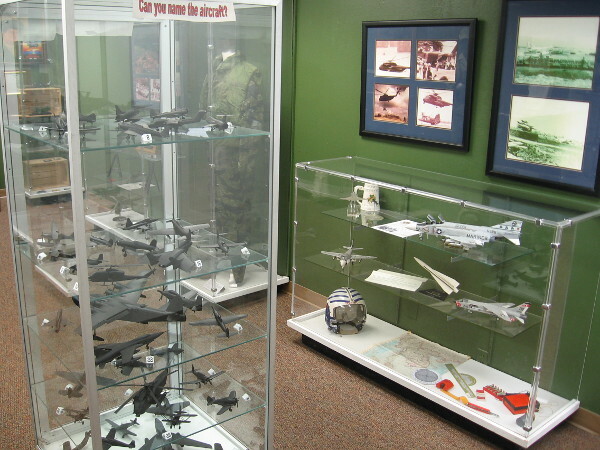 The museum wants to expand. You can help! Learn more here. 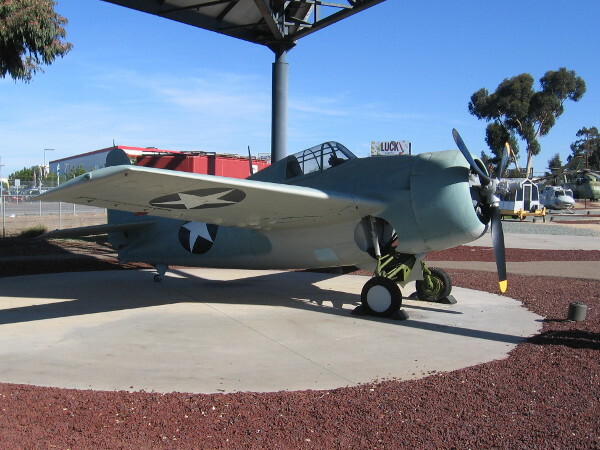 The Flying Leatherneck Aviation Museum in San Diego contains many aircraft that have been used during the history of the United States Marine Corps. 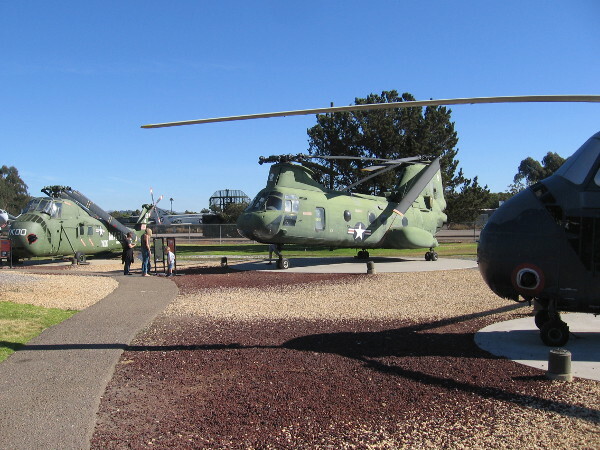 At the Flying Leatherneck Aviation Museum at MCAS Miramar, the public can see the actual helicopter that evacuated the U.S. Ambassador from Saigon at the end of the Vietnam War. 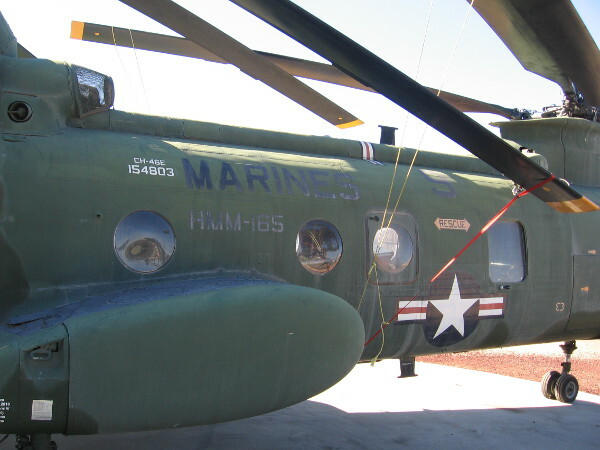 A look at the rear of the historic helicopter that transported U.S. Ambassador Graham Martin to the safety of USS Blue Ridge (LCC-19) standing by in the South China Sea. 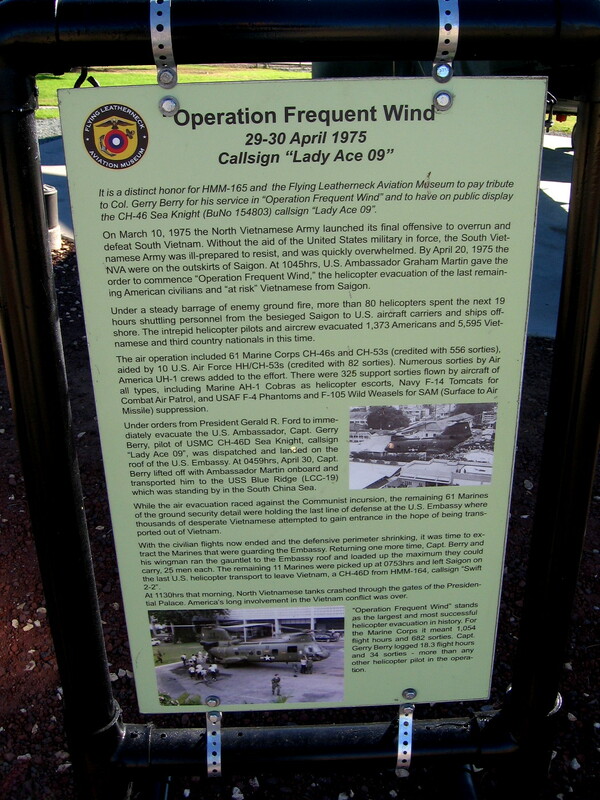 The fuselage of Sea Knight troop transport helicopter, call sign Lady Ace 09. At 04:58 Ambassador Martin boarded Lady Ace 09 on the rooftop of the American Embassy in Saigon. 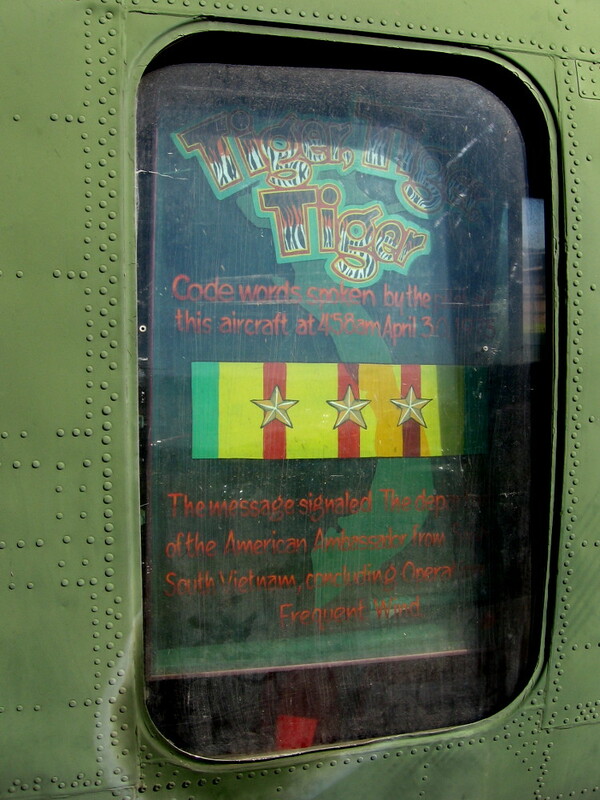 The message “Tiger is out” was transmitted, signaling the departure of the U.S. Ambassador. 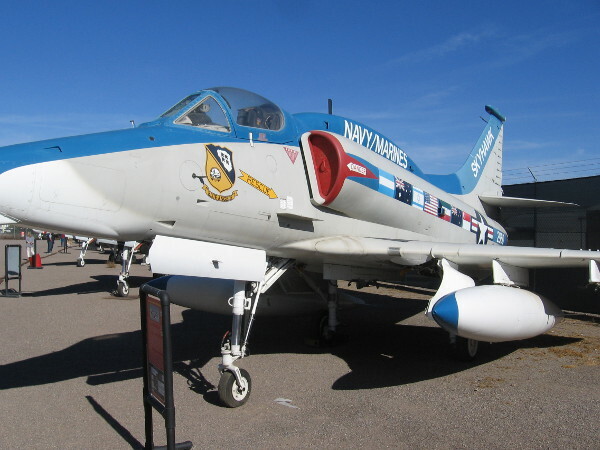 The nose of Lady Ace 09, which today is on display at the Flying Leatherneck Aviation Museum. 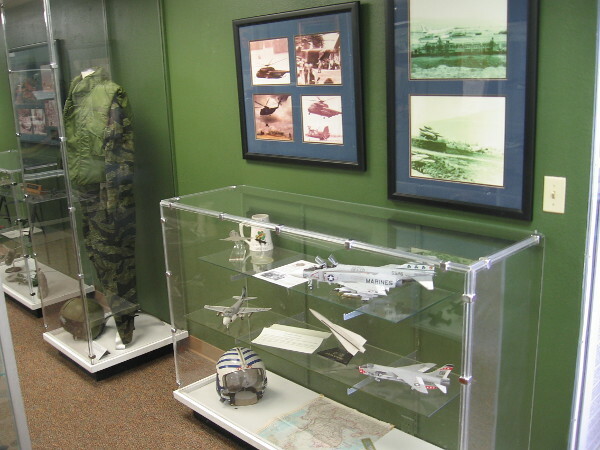 Inside the the Flying Leatherneck Aviation Museum, visitors can see one section devoted to USMC aviators and aircraft that participated in the Vietnam War. 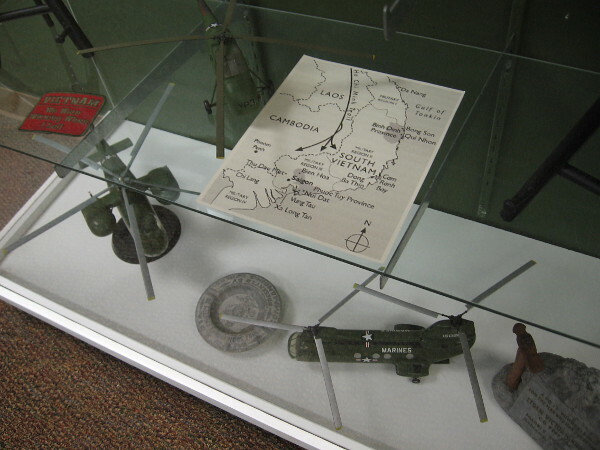 One museum display case includes a map of Laos, Cambodia, and North and South Vietnam during the war. 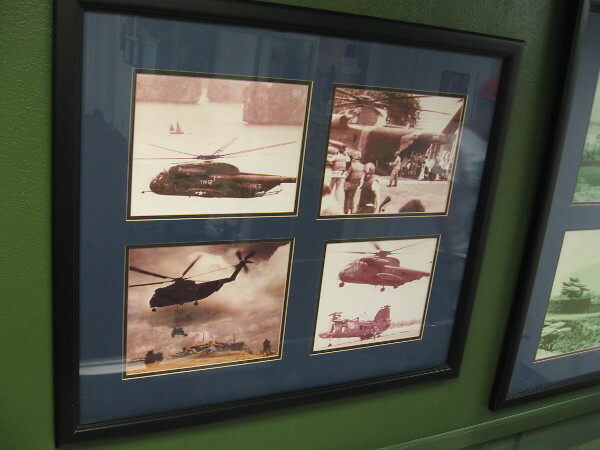 Photos of Marine helicopter operations during the Vietnam War. 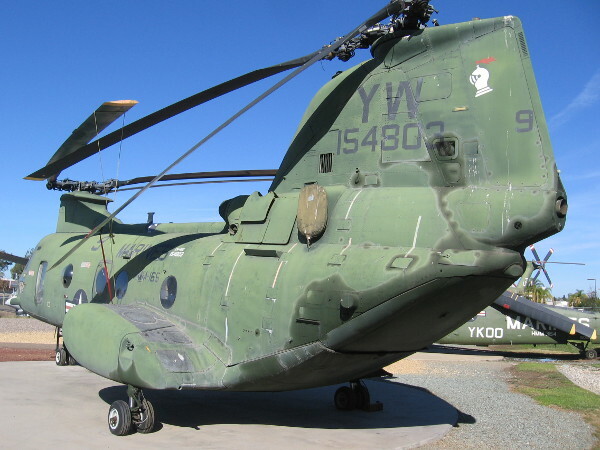 Boeing Vertol CH-46D(E) Sea Knight, call sign Lady Ace 09, the helicopter whose historic flight is often regarded as the conclusion of the Vietnam War. 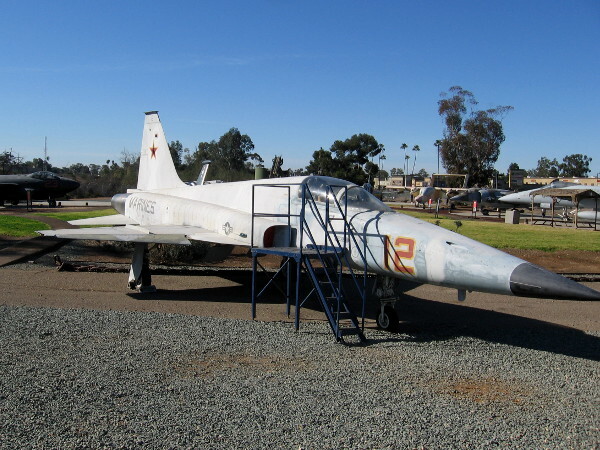 You can easily explore Cool San Diego Sights by using the search box on my blog’s sidebar. Or click a tag! There are thousands of interesting photos for you to check out! 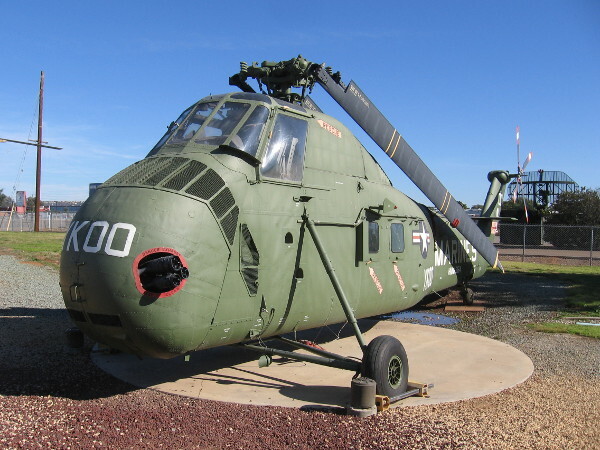 Posted on January 1, 2018 Tags aviation, helicopters, history, marines, military, museums, photo, san diego, tourism, travel, united states, vietnam, vietnam war, war1 Comment on Museum displays helicopter that ended Vietnam War. 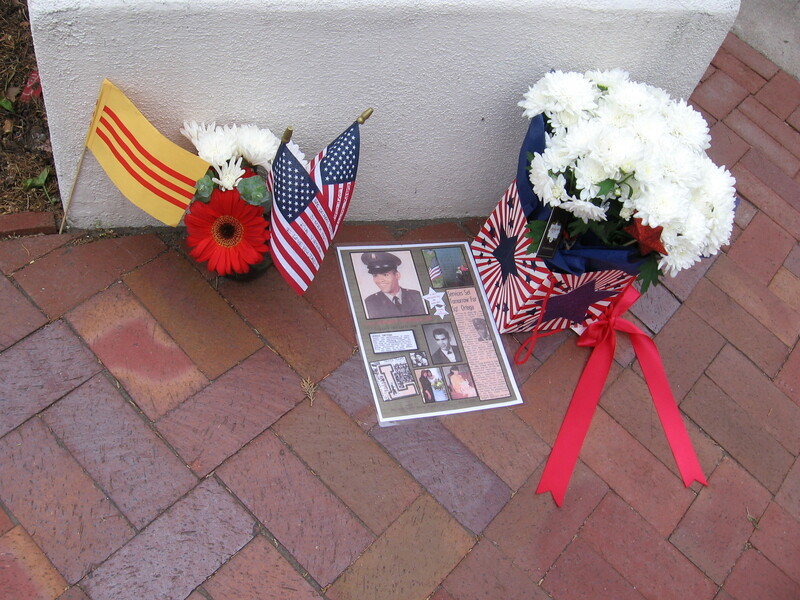 Memorial Day at The Veterans Museum in Balboa Park. 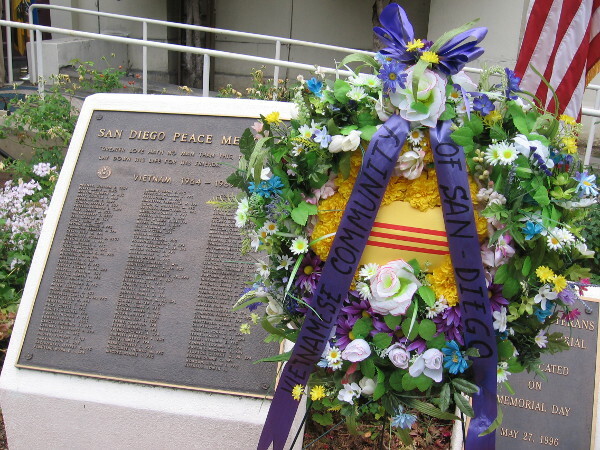 Vietnamese Community of San Diego wreath stands by Peace Memorial. 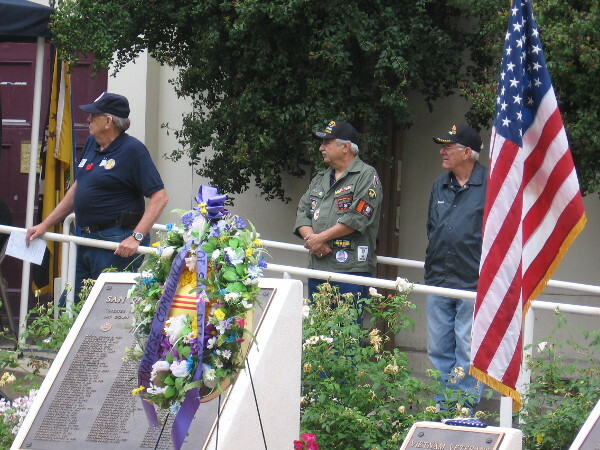 Today I attended two Memorial Day ceremonies. First, in the morning, I walked up to Balboa Park. There I joined others in remembering those who’d lost their lives in a terrible war. 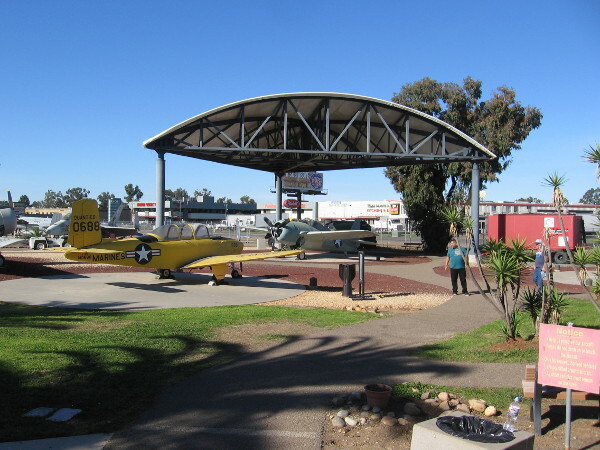 An emotional ceremony was held at the San Diego Vietnam Peace Memorial, which is located right next to The Veterans Museum. 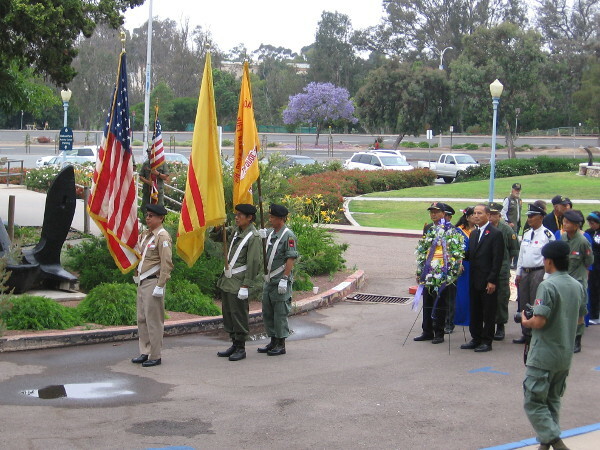 Special attention was given during this event to those who died serving their country during the Vietnam War. Please forgive me. When I arrived I was in a quiet mood. I stood off to the side mostly, took no notes, snapped a photo now and then. I mostly just absorbed the speeches, the music, the flowers, so many names on bronze plaques and proud salutes by veterans in attendance. I felt a bit shy and didn’t grab a program. I regret that now. I forget the names of the speakers, and the lady who sang so beautifully. 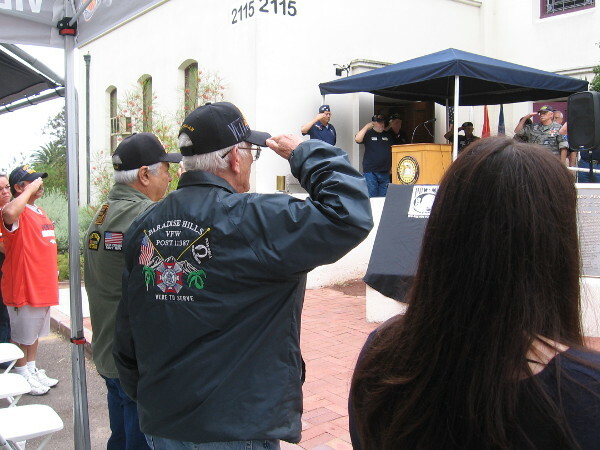 Members of Vietnam Veterans of America, 472, were present. 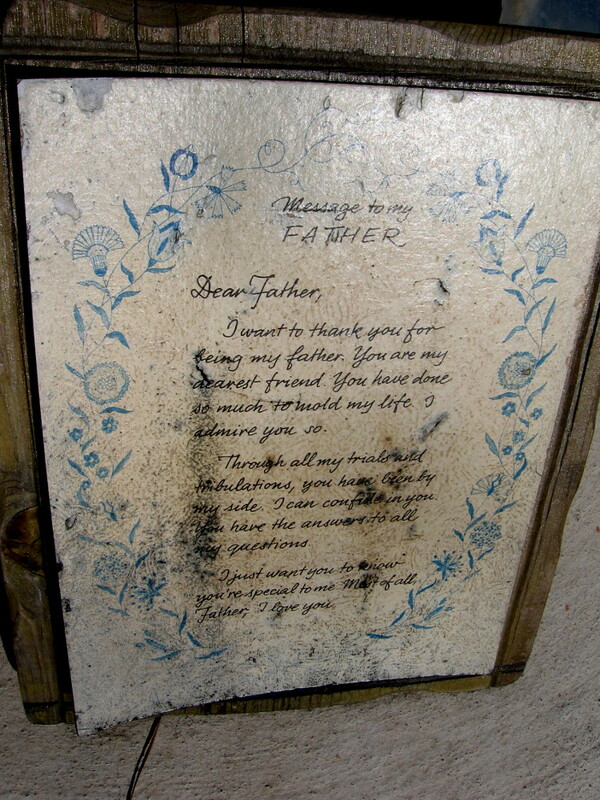 Before the morning program commenced, they had read names of the fallen–the Calling of the Names. 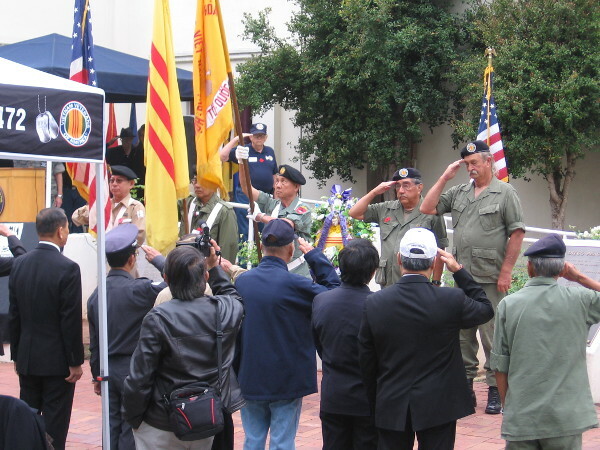 Many from the local Vietnamese community also attended. Some among them had fought in the war. I remember that the keynote speech was very clear and very powerful. It was about service, and courage, and liberty, and friendship, and pain, and sacrifice, and history. It acknowledged the horror of war. 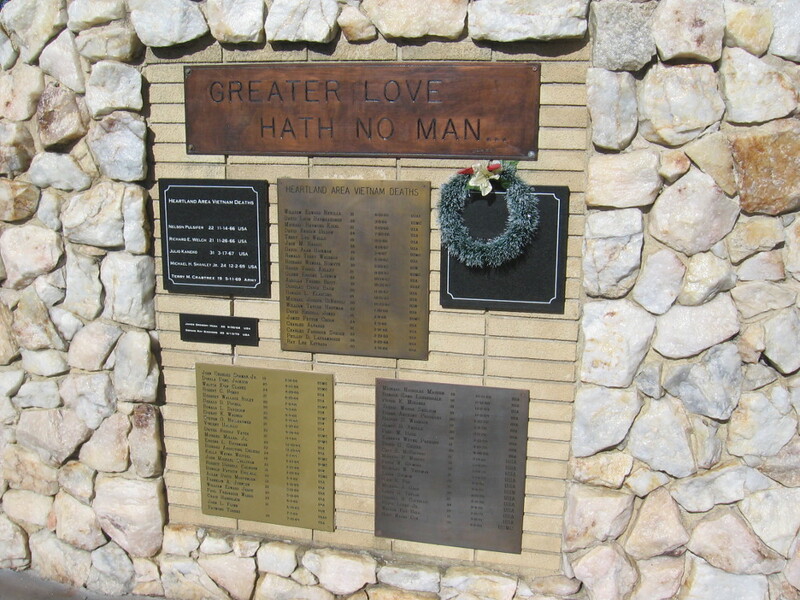 Those who fought would rather have been at home in peace. All gave some; some gave all. 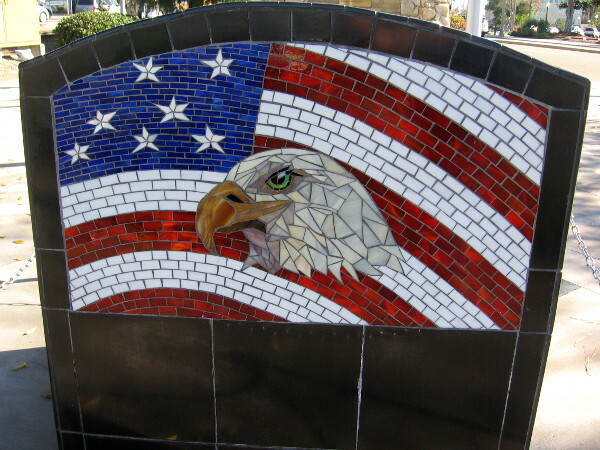 Those whose names are eternally engraved on the Peace Memorial have earned the gratitude of many. A dignified program commences. 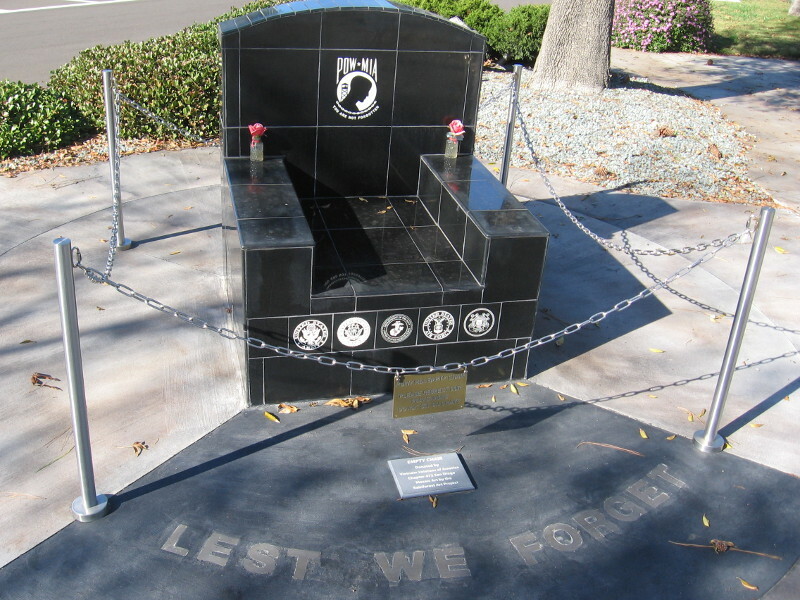 The Vietnam War is remembered, and those who fell during the conflict are honored. 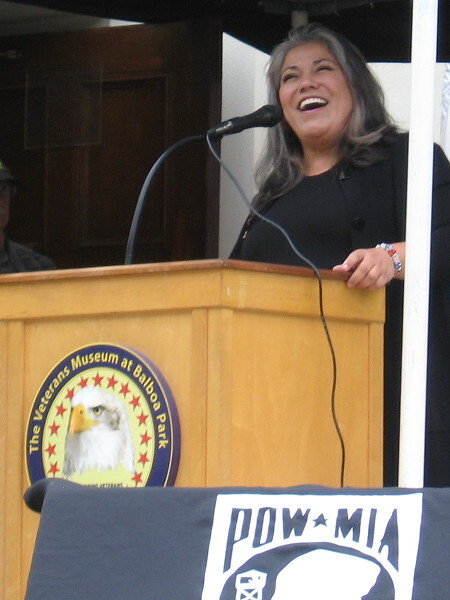 Speeches recall the harsh realities of war, and the democratic ideals many fought to defend. All quietly listen, some remember. Joyful, triumphant singing. America the Beautiful. Love for country. Young and old salute. 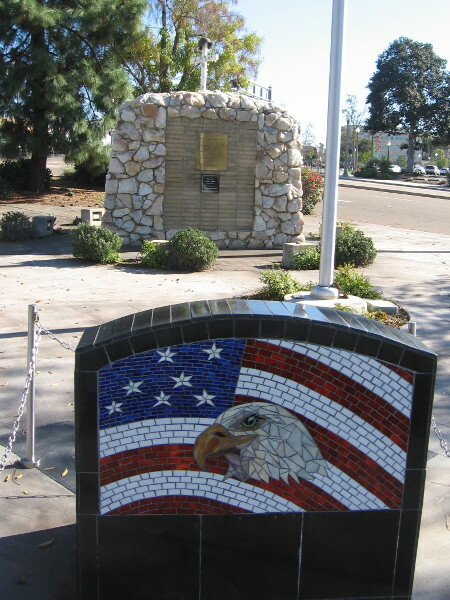 A folded flag above the plaque marking the Vietnam Veterans Peace Memorial in Balboa Park. 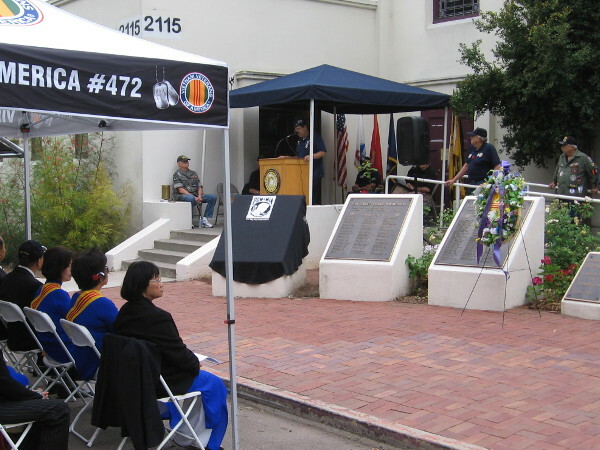 Names of San Diegans who were killed or designated missing in action during the Vietnam War fill half a dozen bronze plaques. 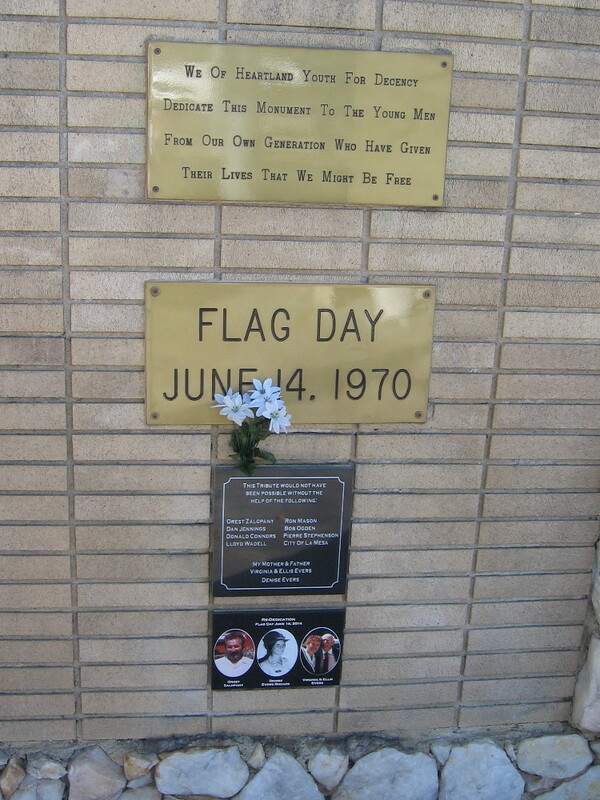 Flags, flowers and photos. A loved family member. 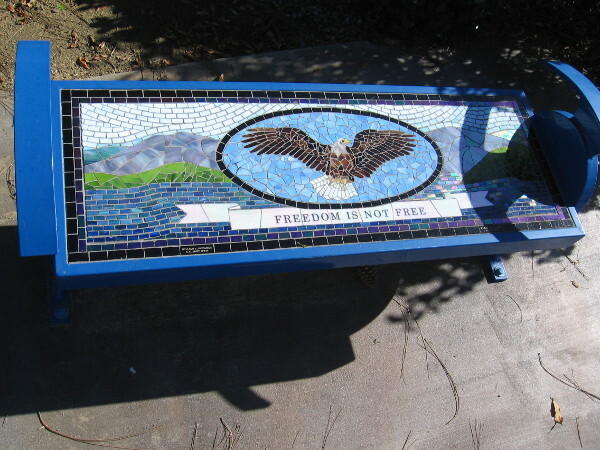 On March 7, 1971, at the age of 21, David Jesus Naranjo perished in the service of our country in South Vietnam, Quang Nam. 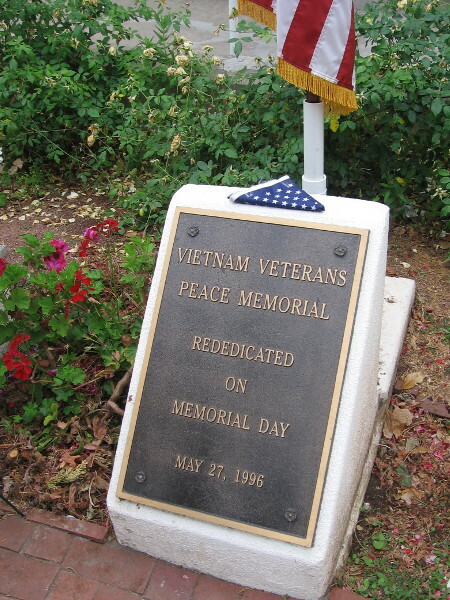 Posted on May 29, 2017 May 29, 2017 Tags balboa park, events, flag, history, memorials, military, patriotism, peace, plaques, san diego, veterans, vietnam, vietnam war, war4 Comments on Memorial Day at The Veterans Museum in Balboa Park. 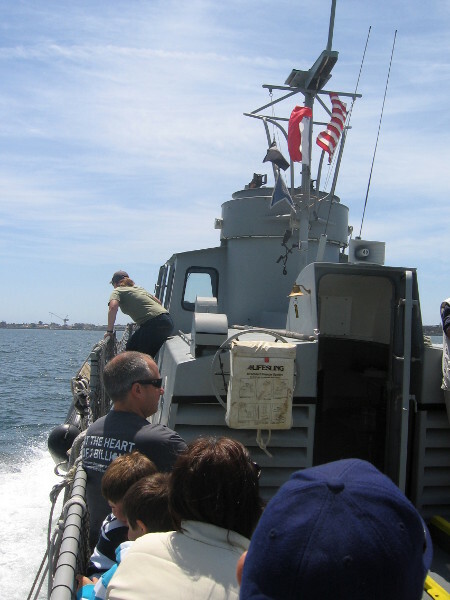 Tour of San Diego Navy ships from old Swift Boat. The restored Swift Boat, PCF-816 approaches the Maritime Museum of San Diego on downtown’s waterfront. Last weekend I embarked on a very unique boat adventure on San Diego Bay. Enjoying sunshine and a cool ocean breeze, I sat outside on the Maritime Museum of San Diego’s restored Swift Boat, and took in various interesting sights during an approximately one hour tour. 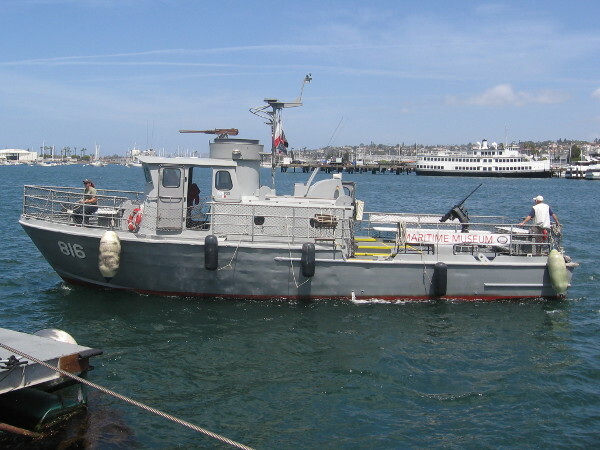 PCF-816 is a small Mark ll Patrol Craft Fast “Swift Boat” that was originally used in San Diego (1968-1969) to train sailors before they were deployed to fight in the Vietnam War. In 1971 the vessel was donated to the Republic of Malta, where it was used to patrol their coast. In 2012 the beat up boat returned to San Diego. 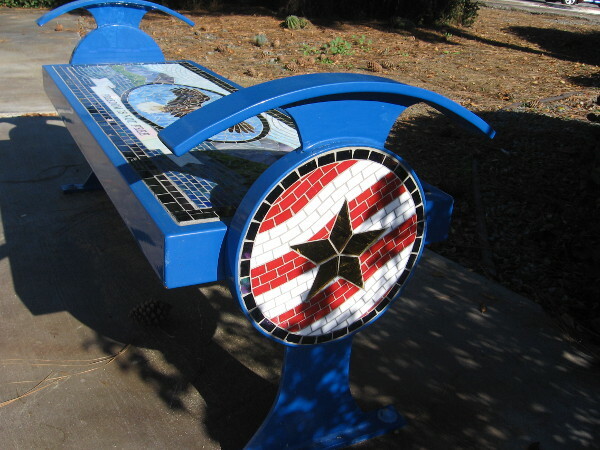 After many hours of work by volunteers, it was carefully restored to it’s present fine condition. You might note in the photos that she still flies the Maltese flag. 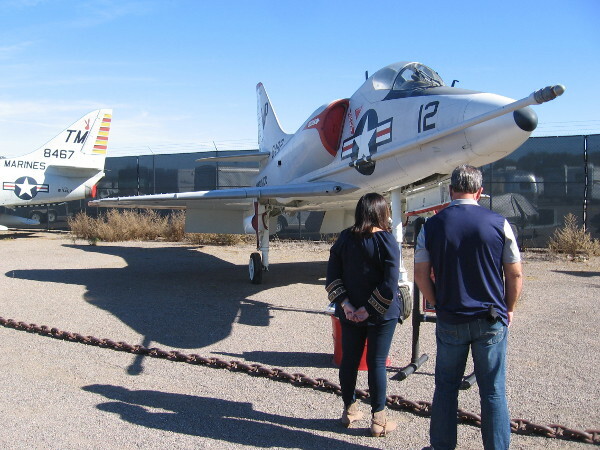 If you’re fascinated by tacking sailboats, arching bridges and sprawling shipyards, interested in military history or modern Navy ships, or just want to enjoy a cruise on San Diego Bay, you might enjoy this tour! 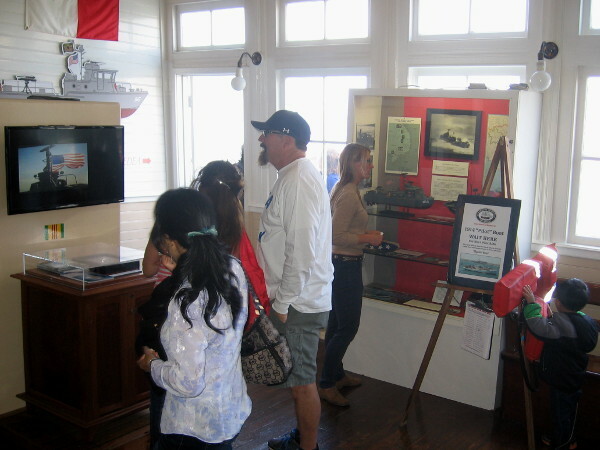 Inside the Maritime Museum’s steam ferry Berkeley, visitors check out informative exhibits as they wait to board the old Swift Boat. 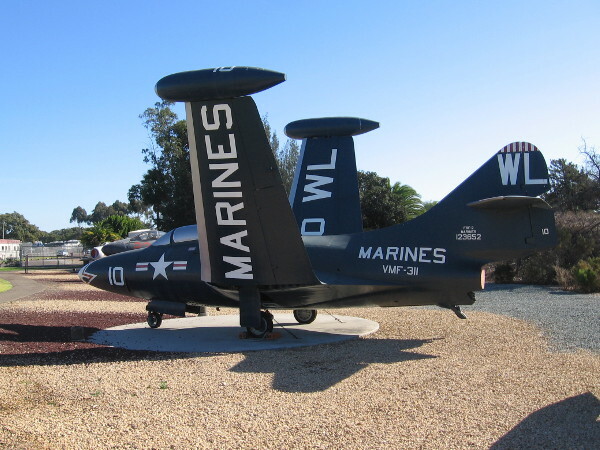 With the introduction of Swift Boats into the Coastal Surveillance Forces of the Navy in 1965, the Naval Amphibious Base in Coronado became a major training center for Swift Boat crews. 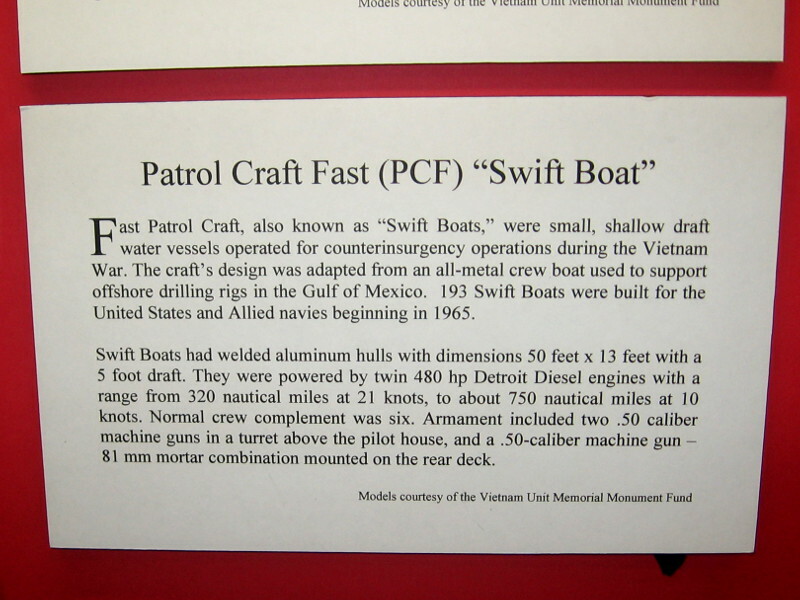 Patrol Craft Fast (PCF) was the U.S. Navy’s official name for a Swift Boat. 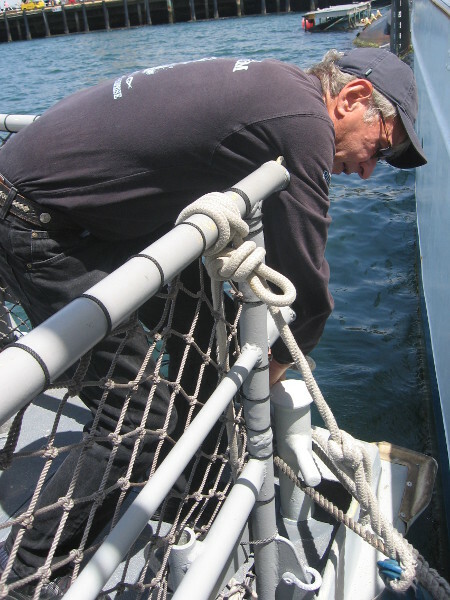 They were small, shallow draft water vessels operated for counterinsurgency operations during the Vietnam War. People board the old Vietnam War-era boat from the Maritime Museum’s docked steam yacht Medea. 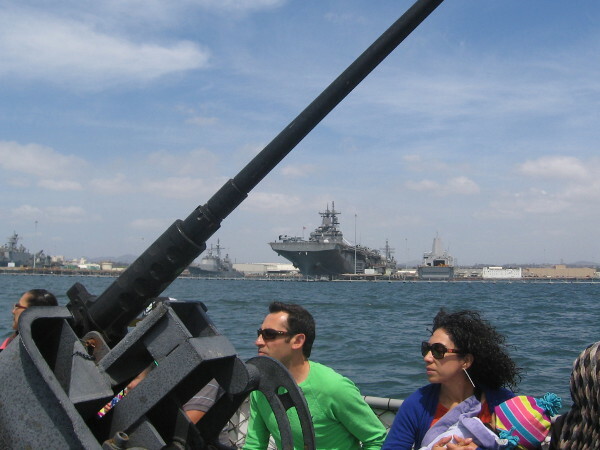 We cast off and begin a partial tour of the bay, including enormous shipyards and many San Diego Navy ships. 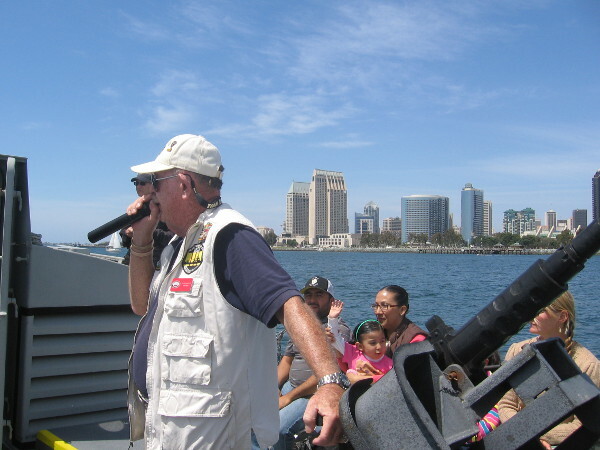 A museum volunteer narrates our tour and points out some of the unique sights on San Diego Bay. No matter what boat or ship you choose, a cruise of the big bay is both relaxing and invigorating. 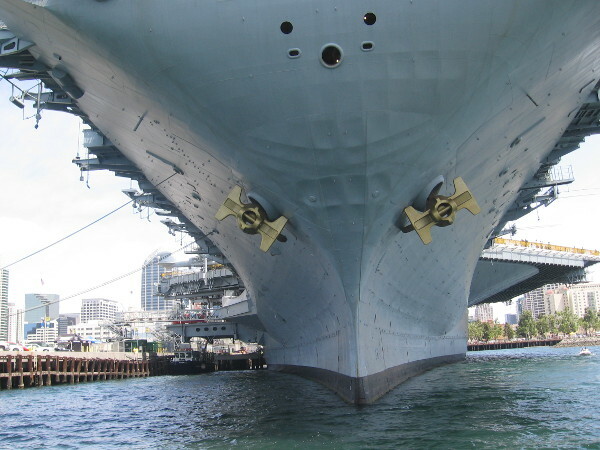 We pass under the immense bow of the USS Midway aircraft carrier, which is also a super popular museum. 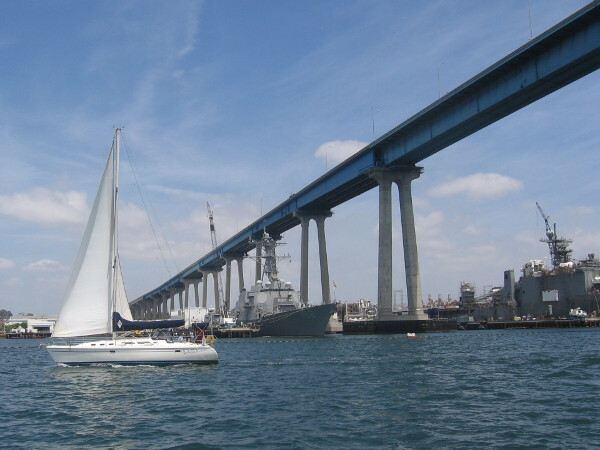 We pass a sailboat and begin under the Coronado Bay Bridge. We are approaching San Diego’s very large, busy shipyards. 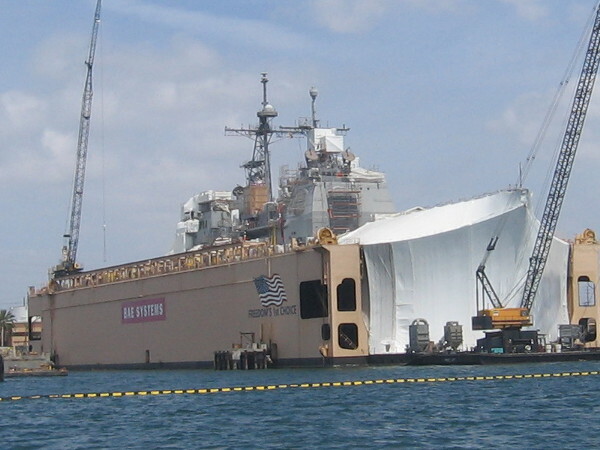 A huge Navy ship in dry dock at BAE Systems’ San Diego shipyard. NASSCO and Continental Maritime also have enormous yards on the bay. 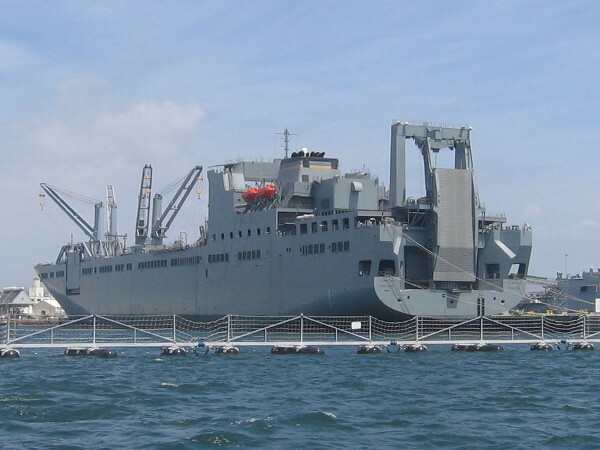 The gigantic gray ship is the USNS Lewis B. Puller. The first of its kind, it’s a forward staging base that will act as a floating base or transfer station. 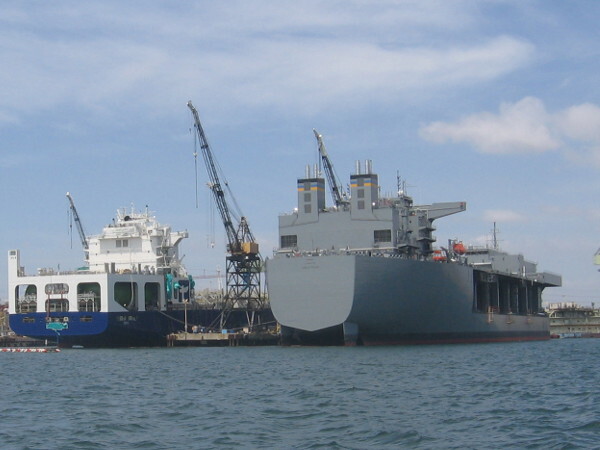 USNS Bob Hope is also huge! She’s a vehicle cargo ship used for Army vehicle prepositioning, She’s the only Navy vessel to be named after legendary entertainer Bob Hope. That unique ship in the middle is a new Independence-class littoral combat ship. USS Coronado is a trimaran, which allows it to operate in shallow coastal water. 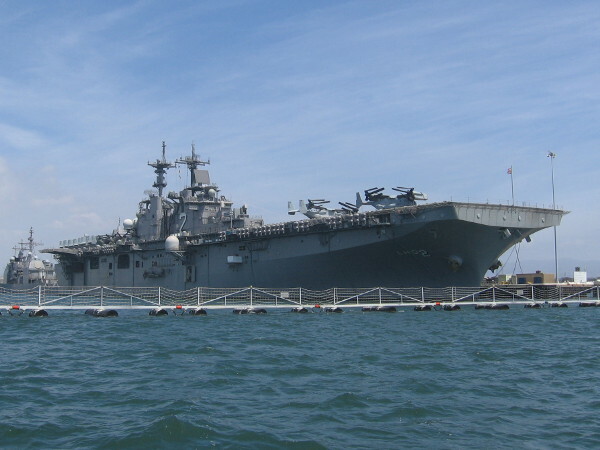 USS Essex is an enormous United States Navy Wasp-class amphibious assault ship based in San Diego. 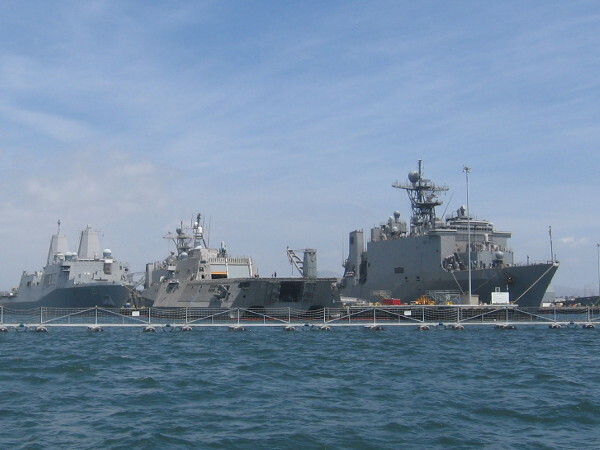 Naval Base San Diego (also called 32nd Street Naval Station) occupies a long stretch of South Bay. 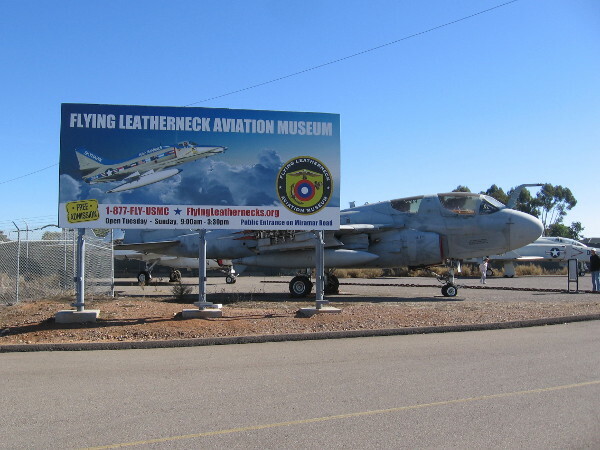 It’s the largest United States Navy base on the west coast. 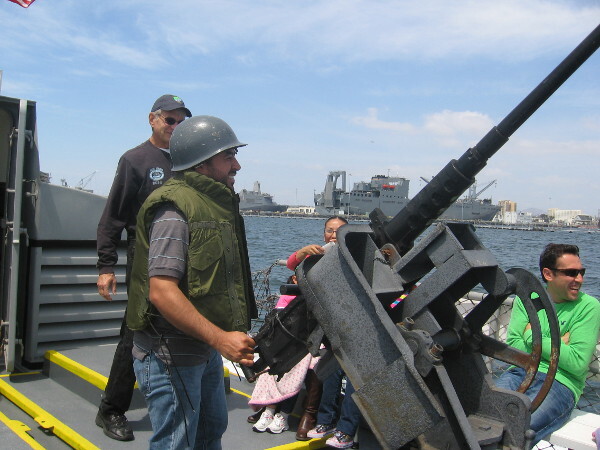 Guy enjoying the tour dons helmet and mans the Swift Boat’s 50 caliber machine gun, which is mounted over a 81mm mortar on the boat’s rear deck. 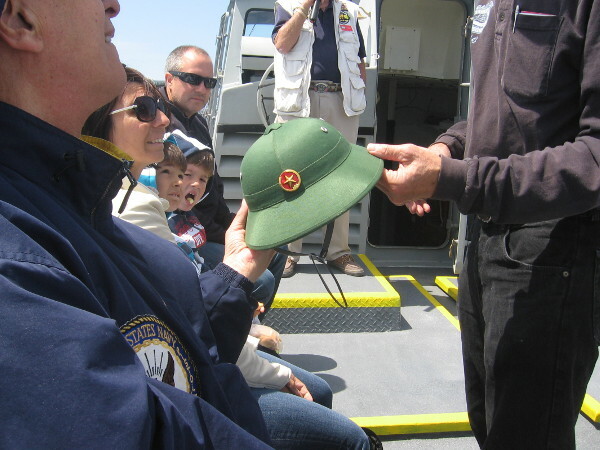 A pith military helmet once worn by Viet Cong soldiers is passed around for the passengers to examine. 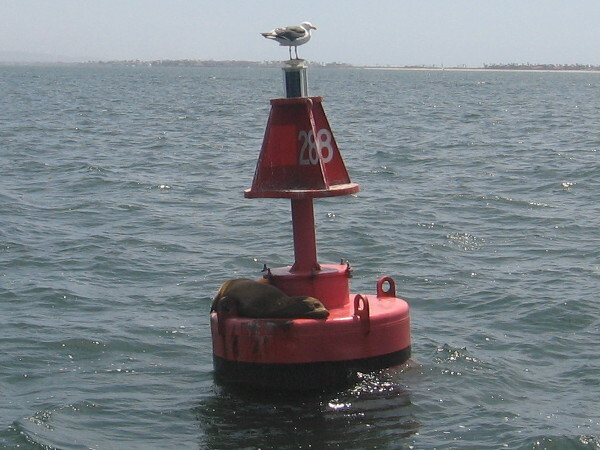 A watchful seagull and lazy sea lion share a harbor buoy on calm, sunny San Diego Bay. 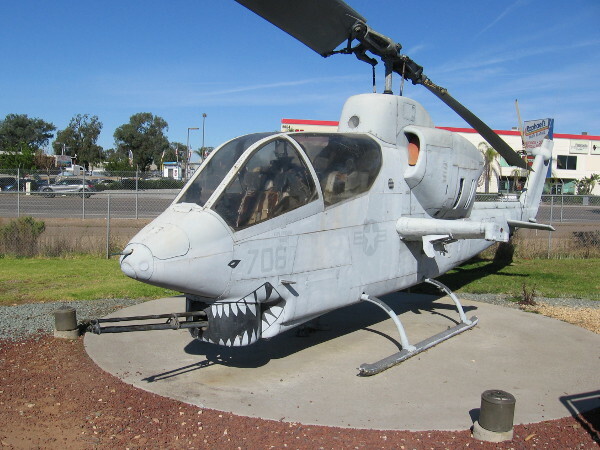 Heading back toward downtown San Diego, we learn more about the history of Swift Boat training in our fascinating city. 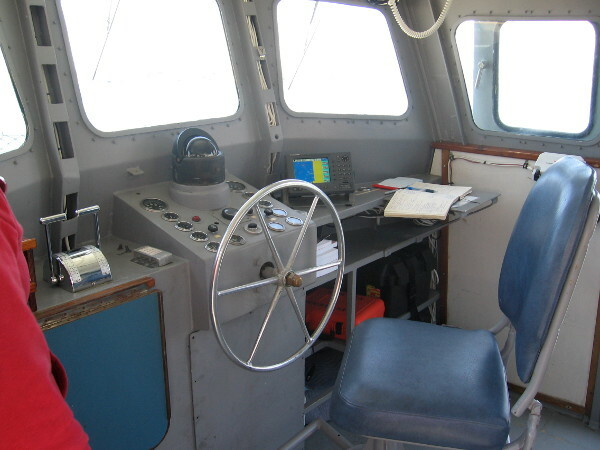 After docking, I get a quick pic of the Mark ll Swift Boat’s small pilot house. 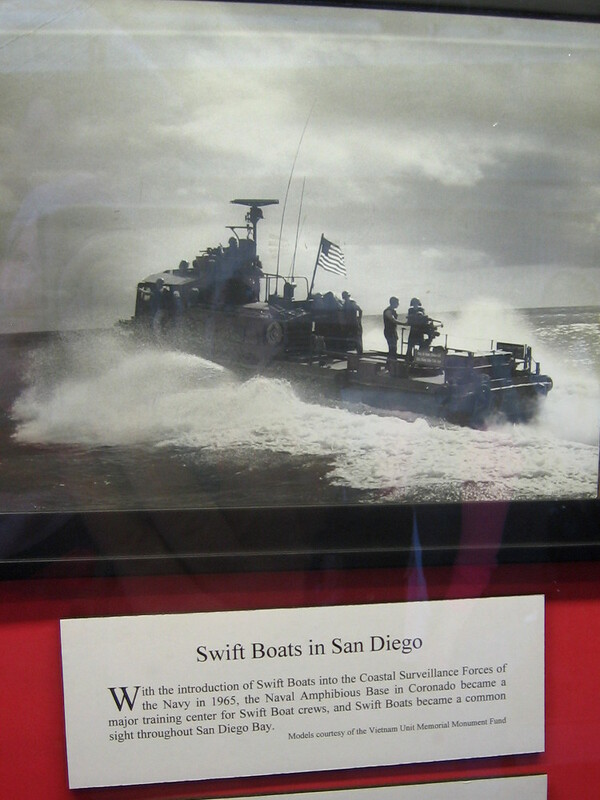 Swift Boat, PCF-816 is one of many interesting, diverse vessels in the Maritime Museum of San Diego’s collection. 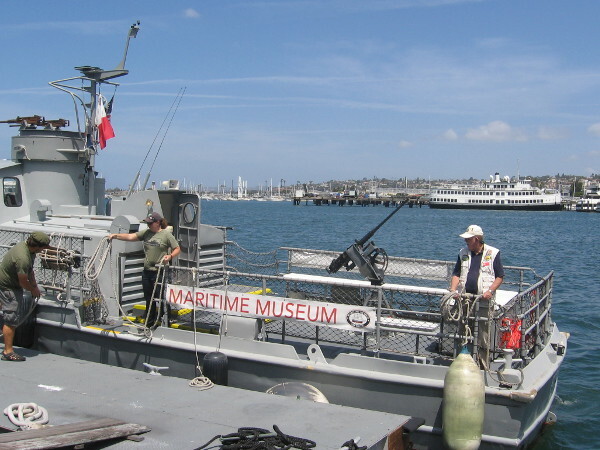 Posted on April 30, 2015 June 1, 2015 Tags boats, coronado, coronado bridge, history, maritime museum, military, navy, san diego, san diego bay, ships, tourism, vietnam war2 Comments on Tour of San Diego Navy ships from old Swift Boat. A San Diego New Year’s wish: Peace on Earth. Morning light shines on monument originally called the San Diego Peace Memorial. A fervent wish for this New Year: May There Be Peace on Earth. Perhaps it’s futile to expect peaceful human coexistence on this crazy, mixed up planet. It often seems that way. That’s unfortunate. But it would be even more tragic to completely lose hope. 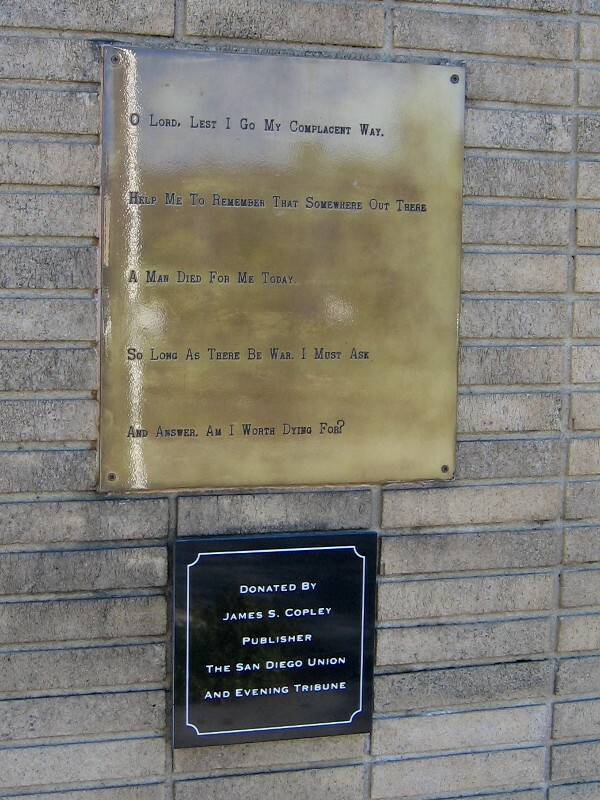 The creators of one poignant local memorial certainly yearned for the end of war. Because they understood war is brutal. 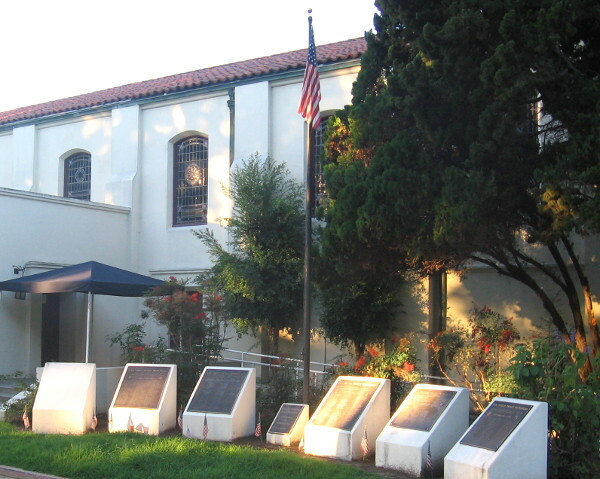 A row of plaques stand on the east side of the Veterans Museum and Memorial Center in Balboa Park. 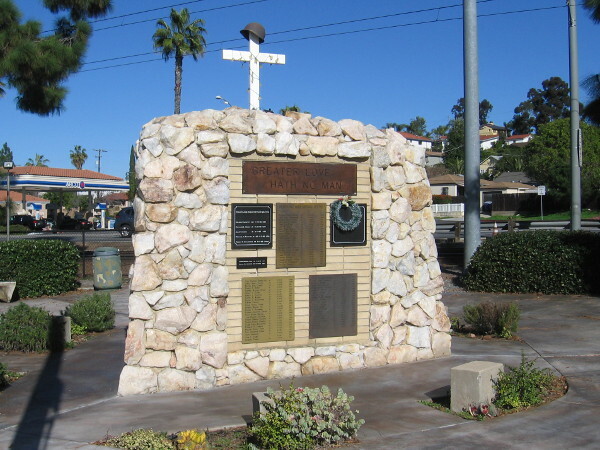 Originally called the San Diego Peace Memorial and installed in Old Town in 1969, the silent monument was renamed the Vietnam Veterans Peace Memorial in 1996 and moved to this location. 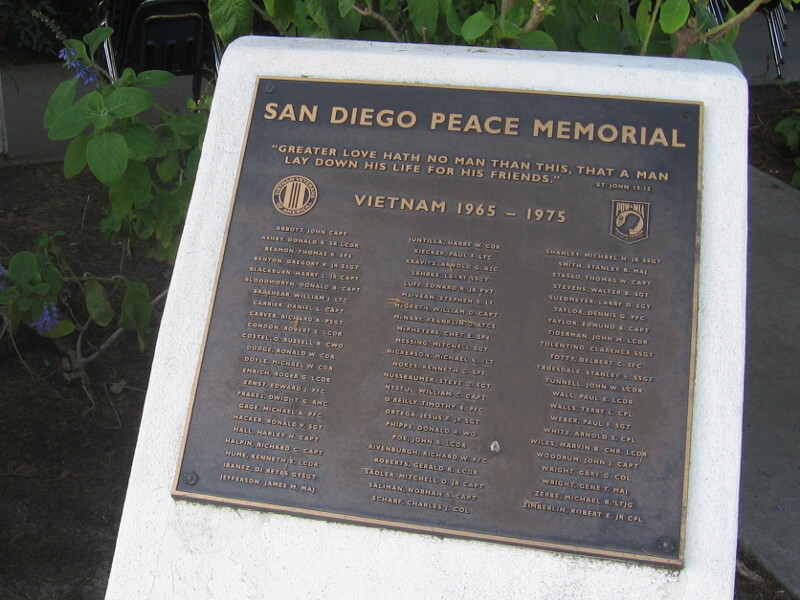 It lists all San Diegans who were killed or designated missing in action during the Vietnam War. 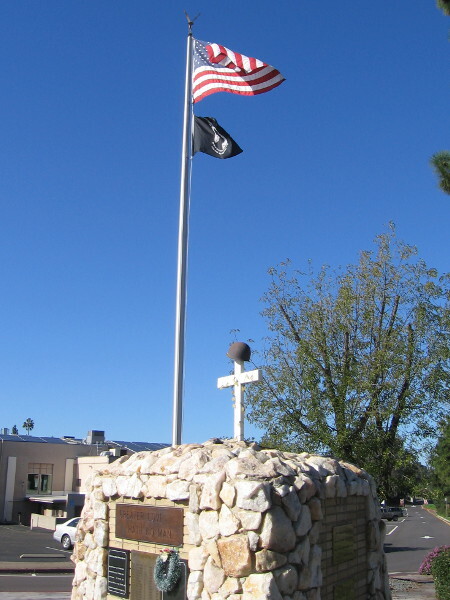 Today’s Veterans Museum and Memorial Center is housed in the former chapel of the old San Diego Naval Hospital, which was built during World War II. Throughout the history of mankind, wars have invariably reminded us of the sanctity of peace. In 2015, May There Be Peace on Earth. 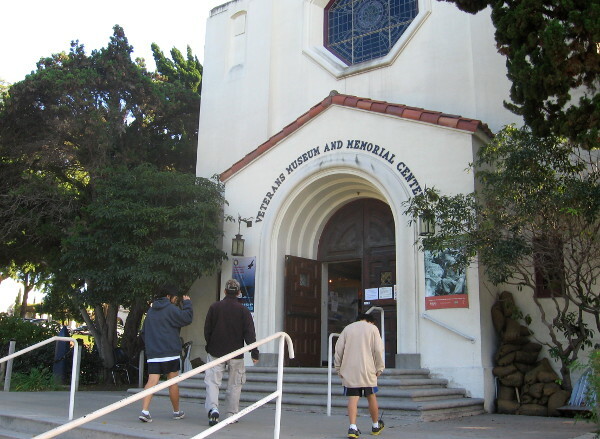 People head into the Veterans Museum and Memorial Center in Balboa Park. 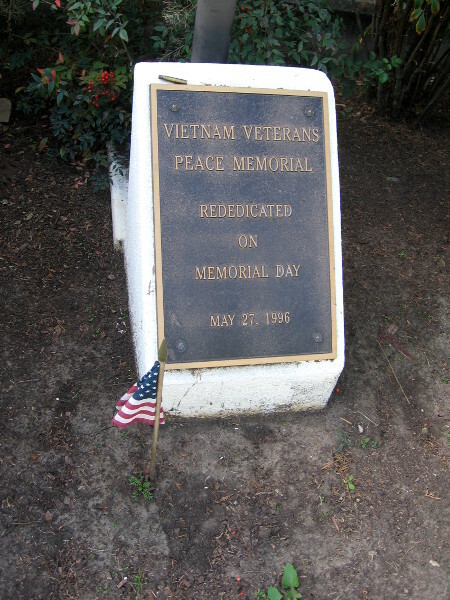 Vietnam Veterans Peace Memorial was originally located in Old Town. 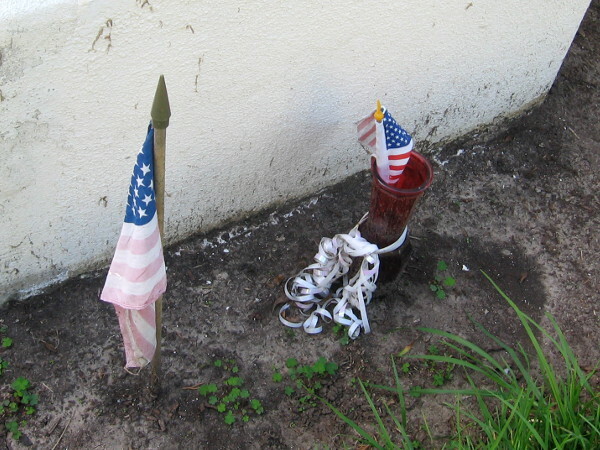 Small American flags remember those who sacrificed in a difficult, controversial war. 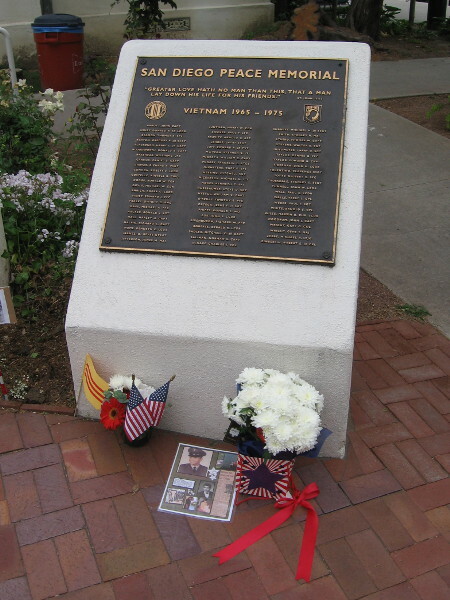 Names of San Diegans who lost their lives fighting in the Vietnam War, 1965-1975. 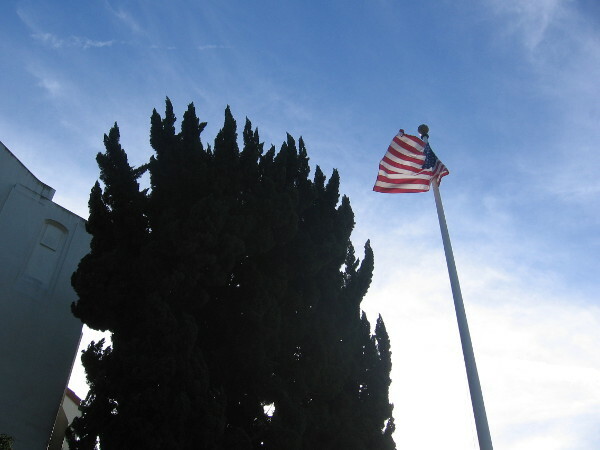 Flag flies above Veterans Museum, formerly the San Diego Naval Hospital Chapel. 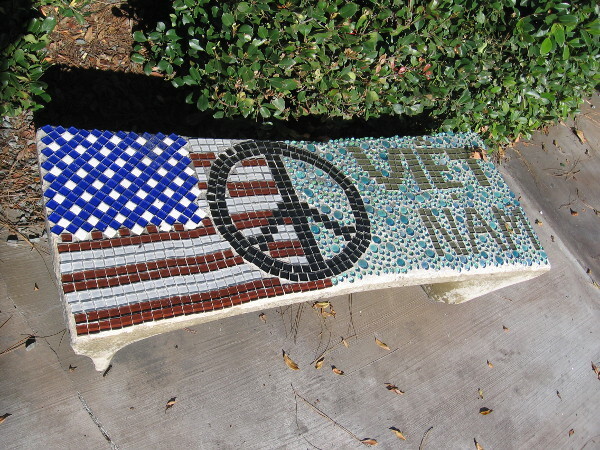 Posted on December 31, 2014 May 26, 2018 Tags balboa park, history, hope, memorials, military, monuments, museums, plaques, san diego, veterans, vietnam war, war4 Comments on A San Diego New Year’s wish: Peace on Earth.